Do you ever get really excited when you find some ubber cute fabric that you've never seen before? 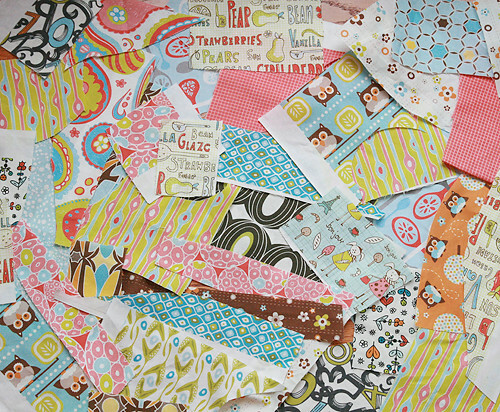 I was clicking around on Spoonflower the other day and ran across fabulous fabric designer Heather Dutton. How great are her designs? I just have to say I've been trying to take a picture of this fabric all week - but it's like a hurricane windy outside! I finally gave up and took the photo inside by the door. For those that aren't familar, Spoonflower is a company that allows anyone to upload a design and they will digitally print it on fabric - for you personally or for sale. What a great way for new designers to be noticed!